Can you just pray for me? Have you ever asked someone to pray for you? Rarely will I post on social media: pray for me. Only when I truly know people will pray, do I ask them. There are a few people I know I can text and they will pray for me. I hope and pray I have a few friends who will do the same. Last week I shared some prayers to pray over our friends, but today I want to offer some prayers for a woman who might not ask you to pray for her. Maybe she is struggling; maybe she isn’t. More than likely she is struggling to feel seen, remembered, and enjoyed. Whether she is knee-deep in motherhood or living in the empty nest she needs our prayers. Her husband’s job is not easy. It is one of the hardest ministry jobs to have. He pours out his heart; and she must pour back into it each day. Instead of gossiping about her….pray for her. Instead of texting someone about her….pray for her. Instead of quietly feeling like she might not like you….pray for her. Instead of judging her…pray for her. 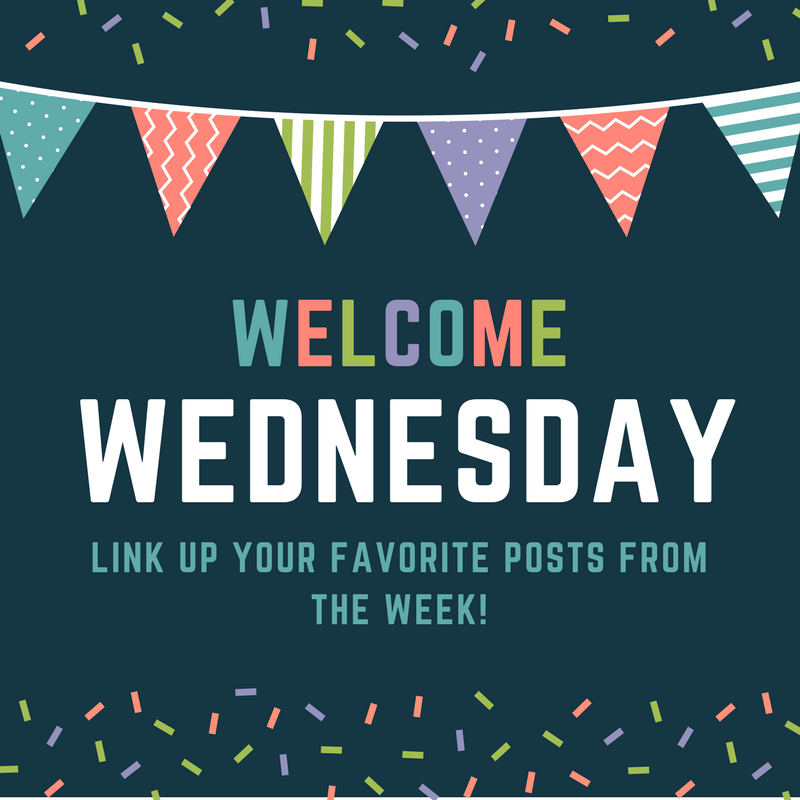 Will you join me as I learn to better pray for my pastor’s wife? I’ve included some prayers you can print off below. Just for one week, can we pray together for the women who hold up the arms of those in the pulpit? Maybe you aren’t a church with a pastor’s wife….do you know a friend who is a pastor’s wife? Pray for her! I’m going to spend the next five days praying one of these prayers! Let’s lift these amazing women up to God! 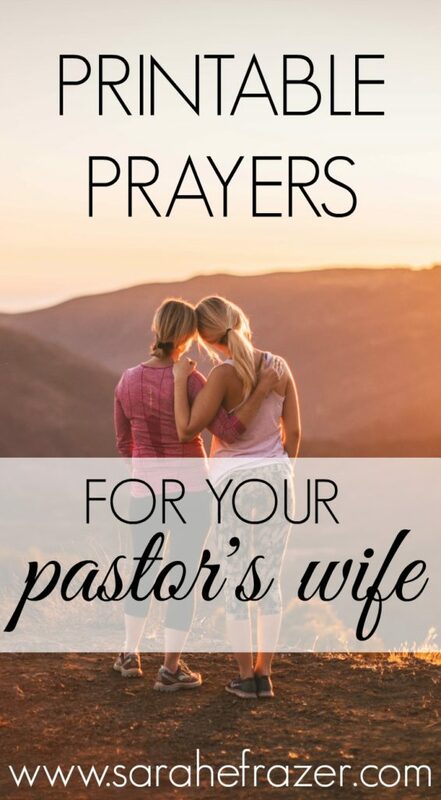 Download a copy of Prayers for My Pastor’s Wife here. Dear Lord, I pray for this woman; my pastor’s wife. She shares her home and heart with a congregation of your people. Let her feel loved today. Hold her close and heal any hurting parts. Continue to work in her the fruit of the spirit: love, joy, and peace. Give her hope in you and soothe her with the truth from your word. Amen. O Father, speak into the heart of my pastor’s wife. Let her here the spirit’s leading in her own devotional and her own ministry. As she serves alongside her husband, give her patience with people and a heart for you. Keep her safe from the words of the accuser and those who would accuse her. Let her know the truth: She is forever accepted just as she is in your hands. Make her believe the truth: she is perfect for this congregation. Amen. O God, will you bless our pastor’s wive? Bless her with provisions for her daily needs. Bless her with the secret desires of her heart. Let her be seen by her husband today. I pray she will know the deep personal presence of you, O God. Hold her close today as she ministers for you. Give her fruit for her labor. Amen. Dear Lord, as I come to pray for this woman, my pastor’s wife, let me name her: ______. You see her not in her role, but who she is in you: daughter, beloved, forgiven, and enough. Satisfy the longings of her heart and keep her eyes focused on you. I pray your word speaks to her today. I pray for whatever desire she has, you will meet it beyond what she could even imagine! Amen. O Father, draw _______ to you today. Her life is rough; there are critics; and she maybe worn down. Lift her up and comfort her. Reveal to the people around her (including me) what she might need. Even though she might not ask for it, let us try and help meet her needs today. Let her find comfort in sharing her heart with others and find peace in you. Amen. 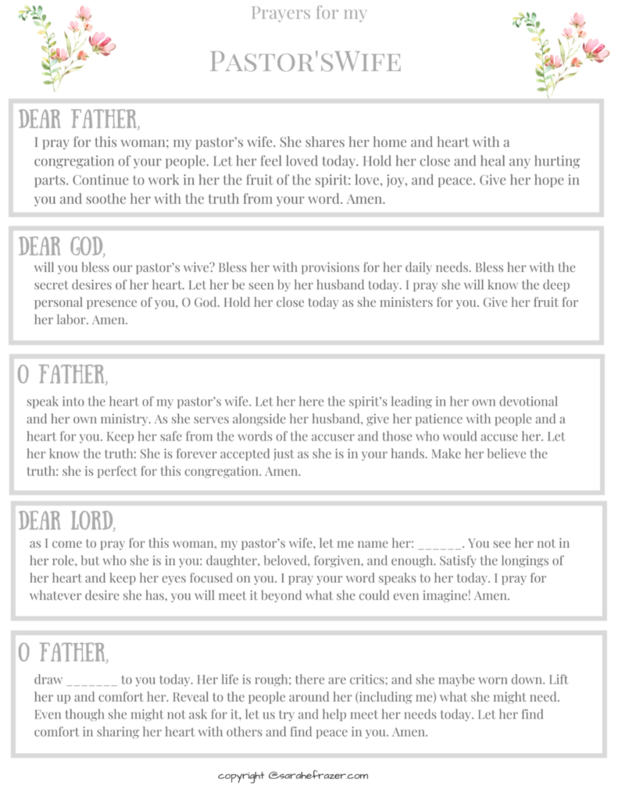 What a great resource and reminder to pray for our Pastor’s Wife. Definitely, pray for pastor’s wives, they are overlooked.